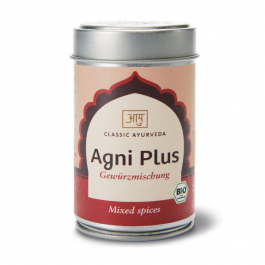 Agni-Plus spice mix is a delicious blend of turmeric, fennel, coriander, cumin, black pepper, ginger, fenugreek and cinnamon. 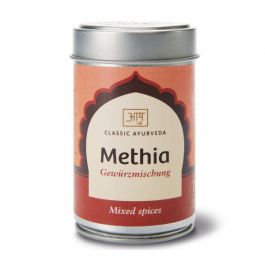 Add it to your food to help make food more digestible and to aid digestion. 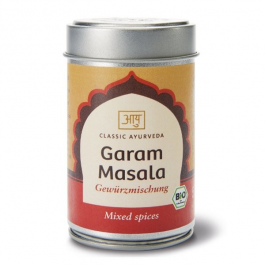 Sprinkle on this organic spice mix to light your digestive fire. Good for anyone who needs an energy boost, or use in the Winter. 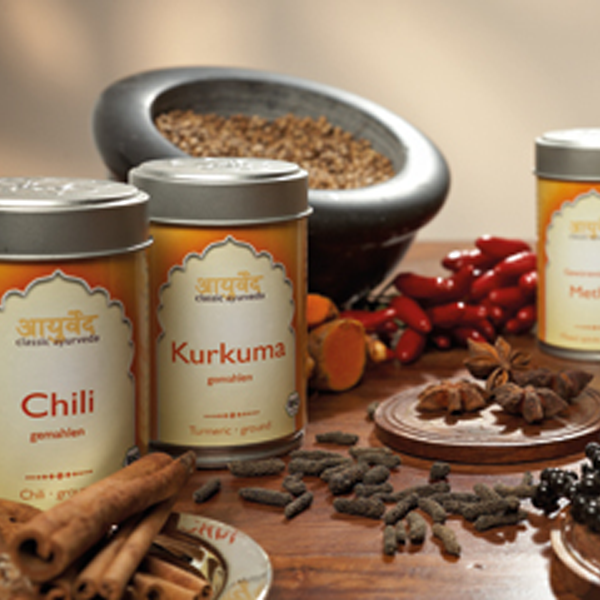 Balancing your digestive agni is a key principle in ayurvedic medicine. 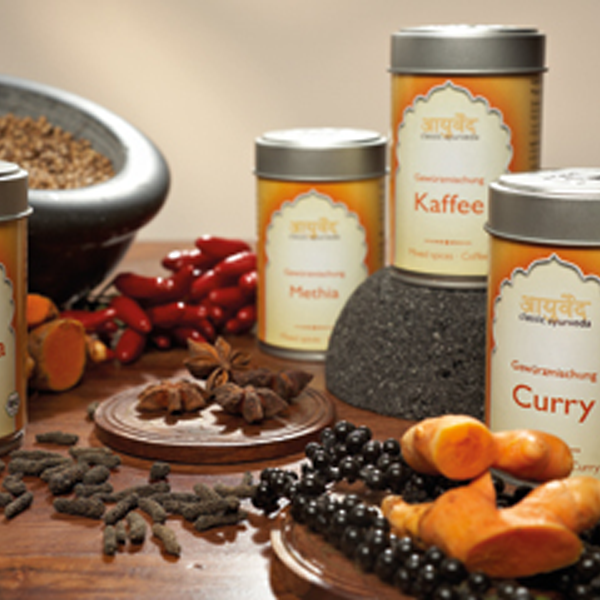 That's why ayurveda recommends a number of general practices for better digestion. Digestive agni can be compared to a burning fire. If the flame is very low, then it will take a long time to cook the food. In the same way, if the fire is too big it can burn the food. If we put a huge log on a low fire, it will extinguish it. Our digestive fires should be balanced so that we can digest our meals efficiently and smoothly. Allergy advice: Peanut free, gluten-free, lactose-free, peel fruit free.